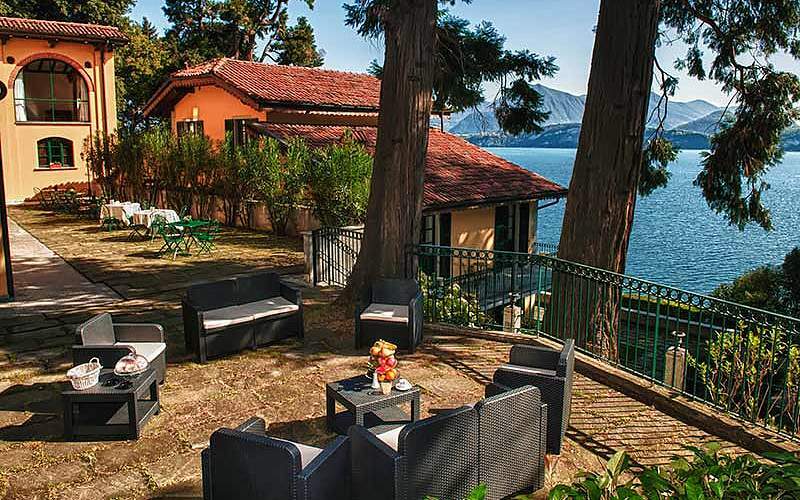 Set in magnificent historic gardens on the shores of Lake Maggiore, Casali della Cisterna is a wonderfully peaceful water-edge retreat. 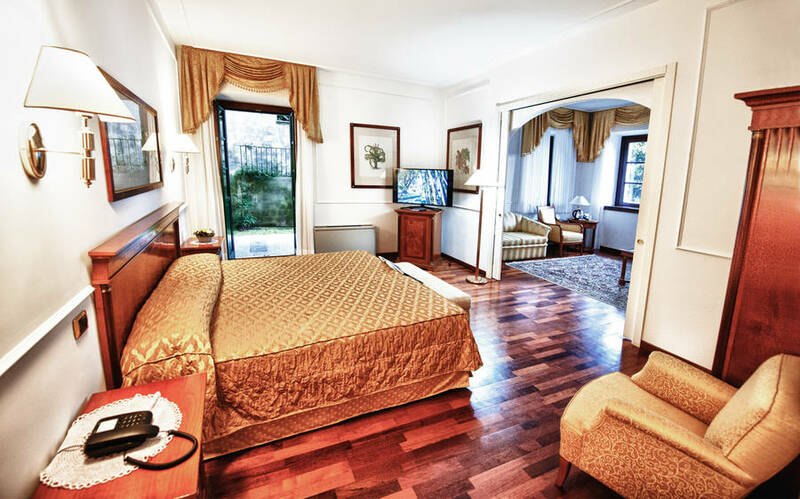 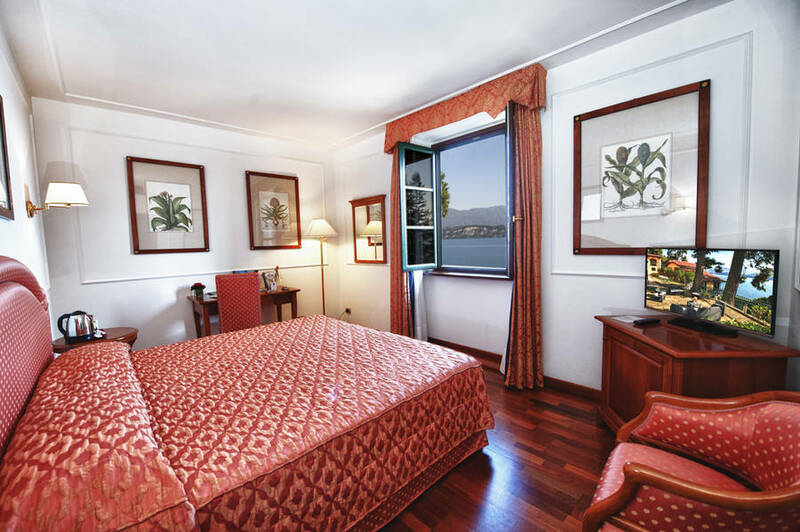 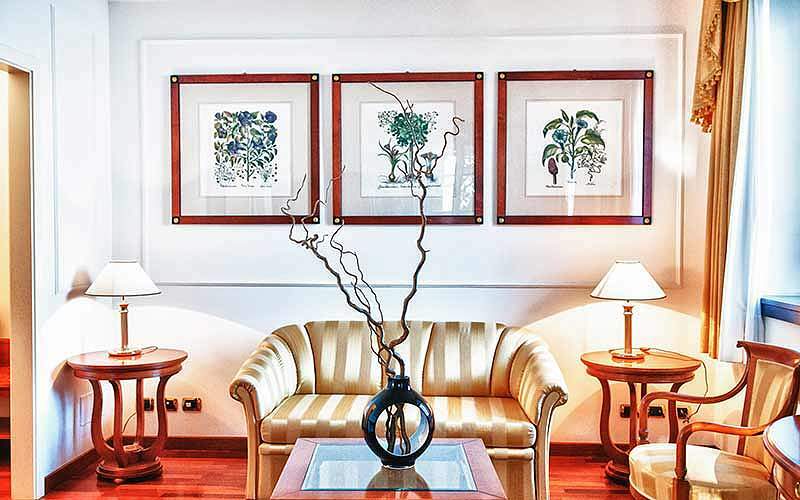 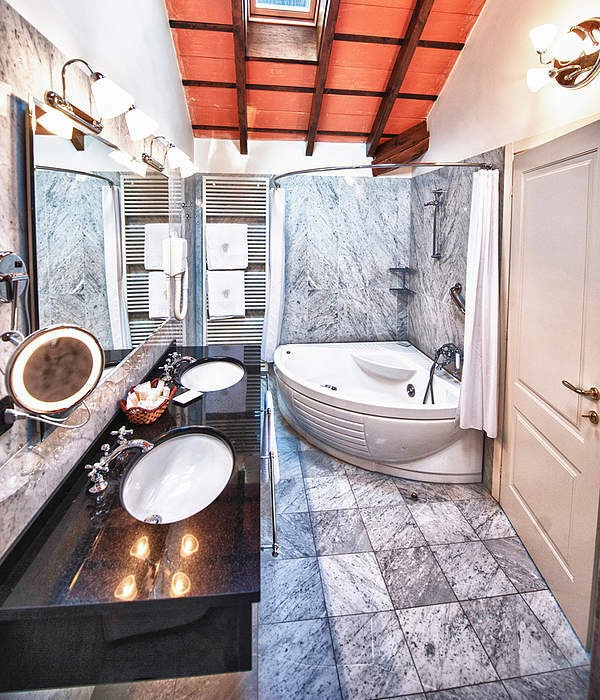 Luxurious accommodation is provided in two lovingly restored 19th century edifices, which, as their name suggests, were once inhabited by sailors (marinai) and gardeners (giardinieri). 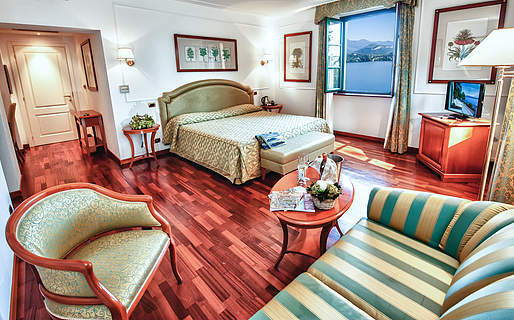 Imagine waking up in the morning to the sight of Italy's breathtakingly beautiful Lake Maggiore! 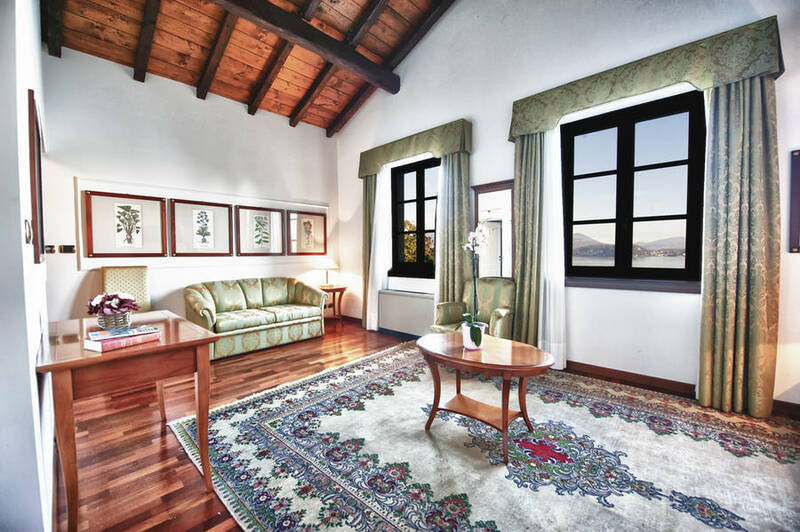 There isn't a single room at Casa della Cisterna which doesn't have an enchanting view of the lake. 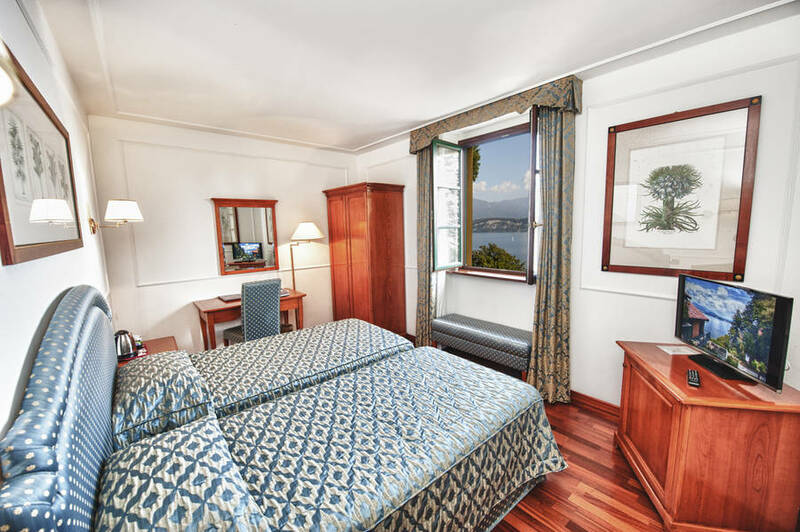 Whether you decide to stay in the Casa dei Marinai or in the Casa dei Giardinieri, you can expect to enjoy the same glorious view! 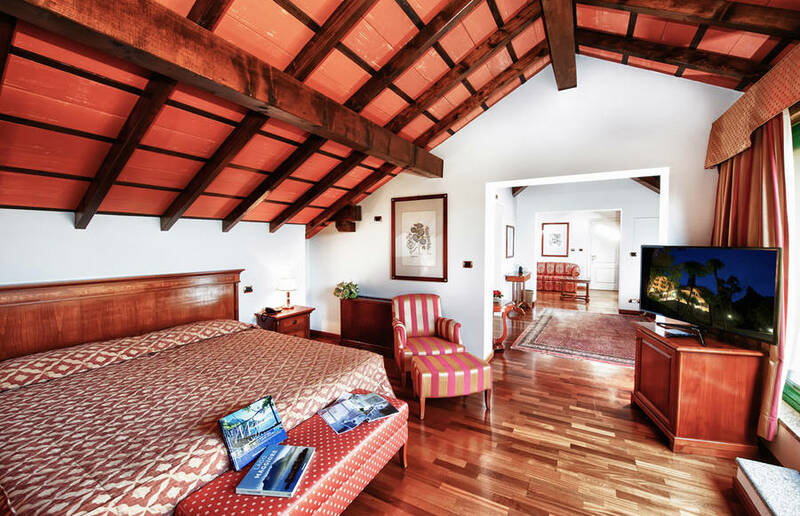 In Casali di Cisterna's bedrooms and suites, classic old world elegance combines with a full range of contemporary creature comforts, from Wi-Fi to acclimatization. 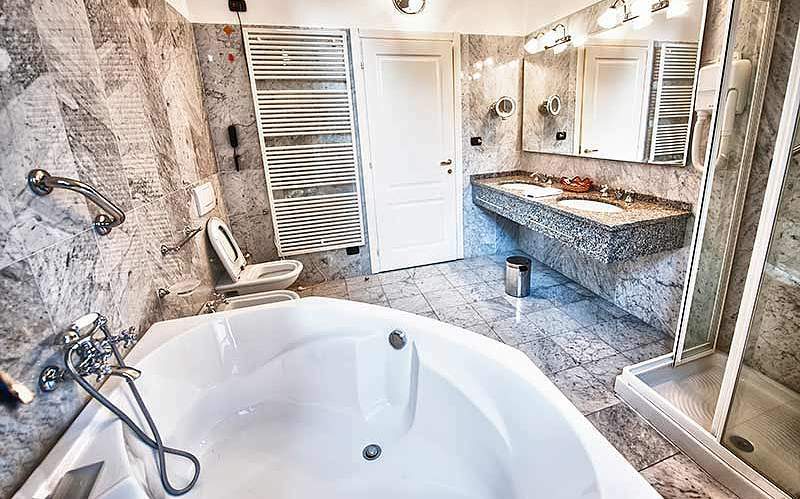 A number of rooms have bathrooms with hydromassage tub. 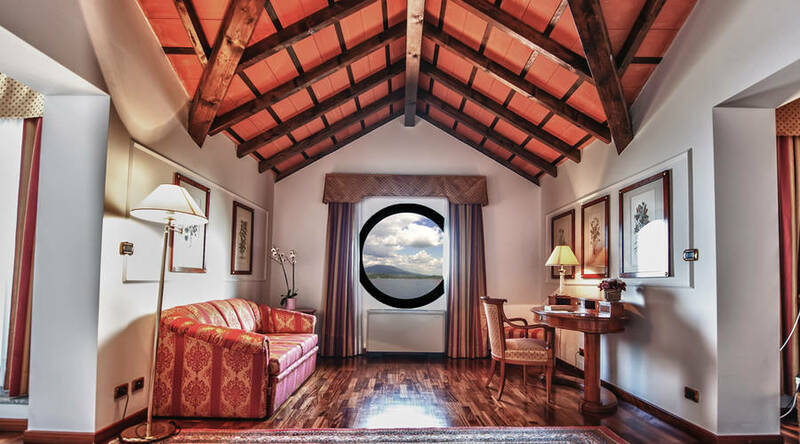 A lift transports you directly to your room, complete with two sweeping terraces and a breathtakingly beautiful view of Lake Maggiore: welcome to Suite Sequoia! 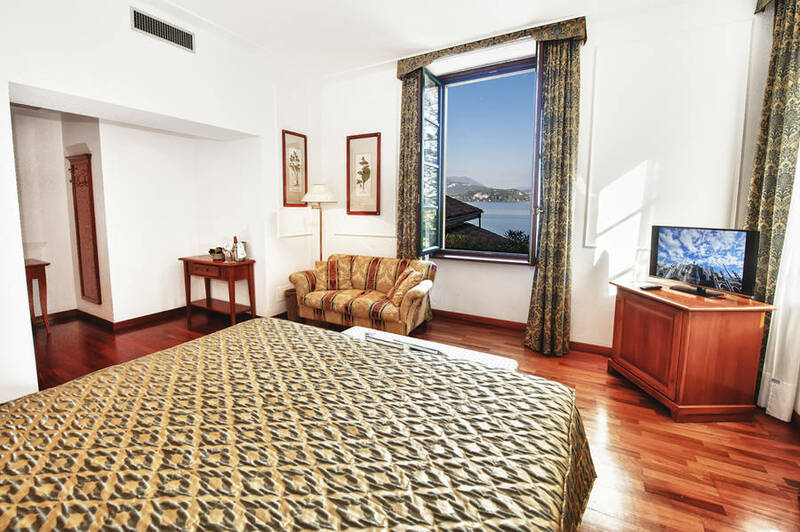 Sumptuous suites aside, what makes this four star hotel on Lake Maggiore really special is its beach: the perfect place in which to while away the hottest hours of the day, lazing in the Italian sun or swimming in the lake. 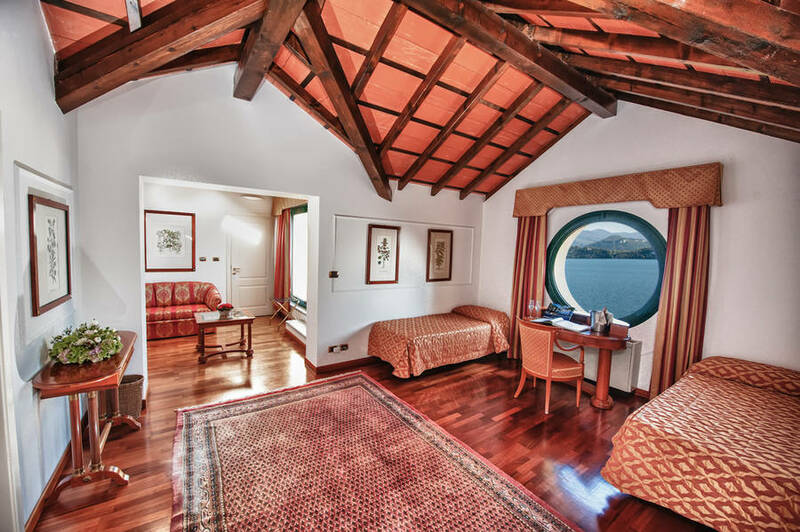 From the hotel's private jetty, you can board a boat with which to cruise around the lake and visit the charming Borromee islands. 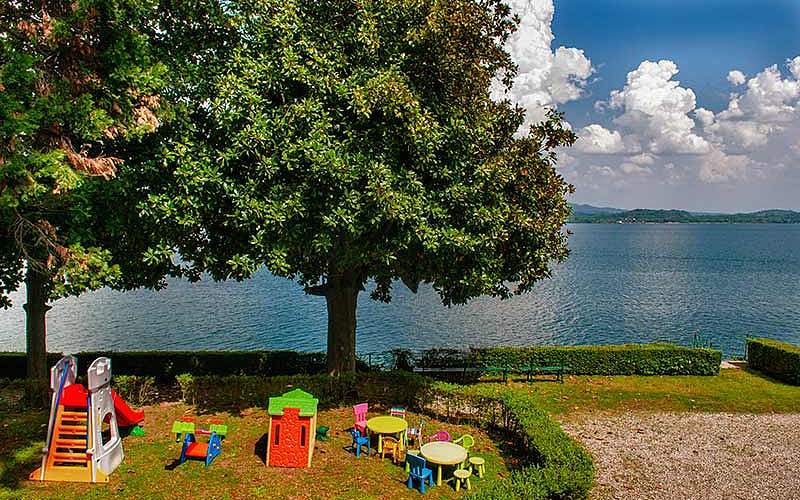 An aperitif by Lake Maggiore. 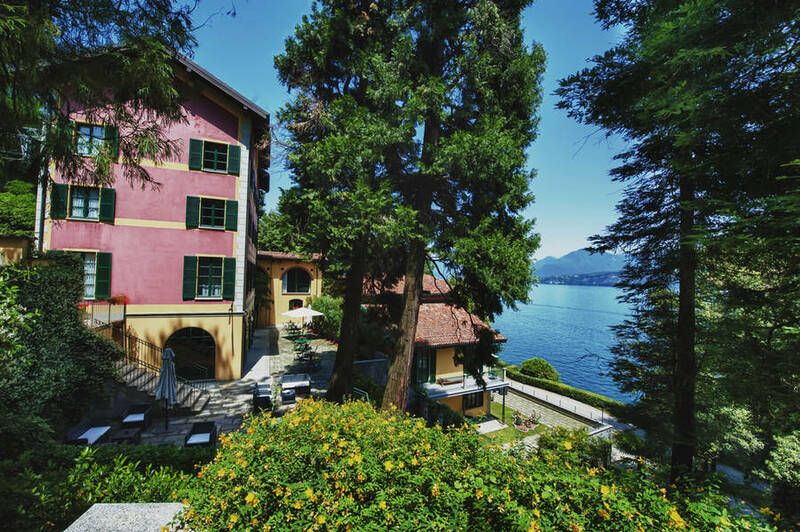 What better way to end the day than with a sunset sundowner on Casali della Cisterna's panoramic water-edge terrace? 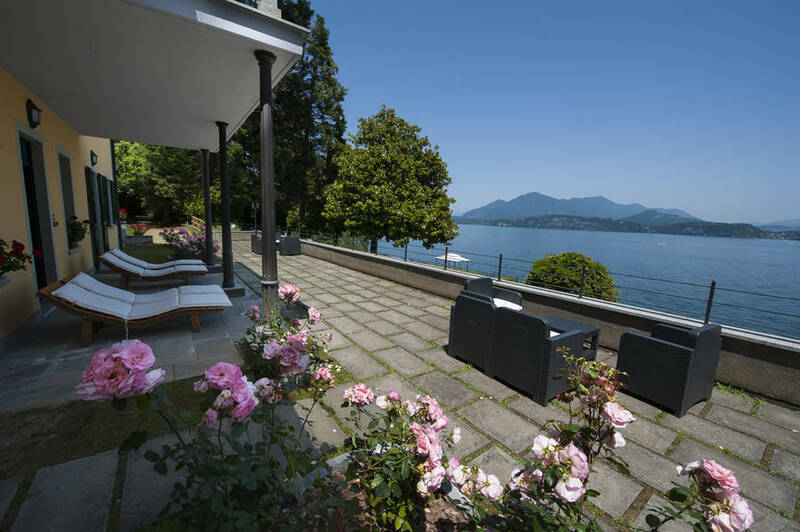 In the morning the same terrace serves as fabulous al fresco breakfast room. 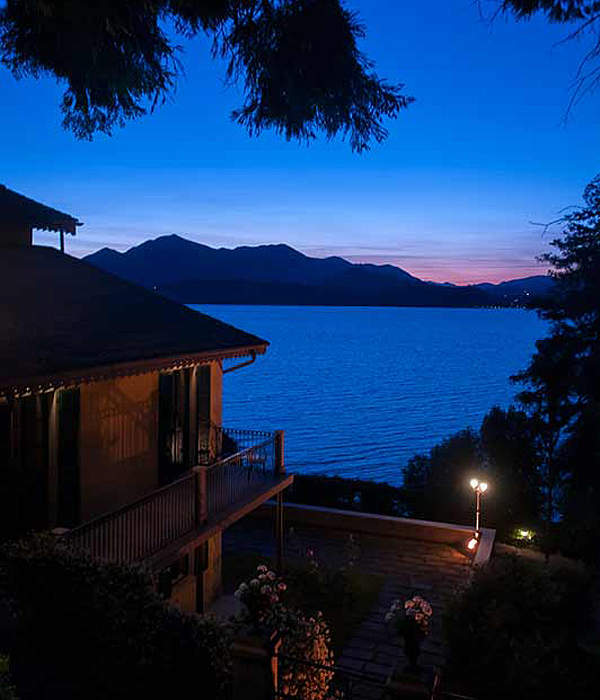 In the last 30 days 5 people have visited this page. 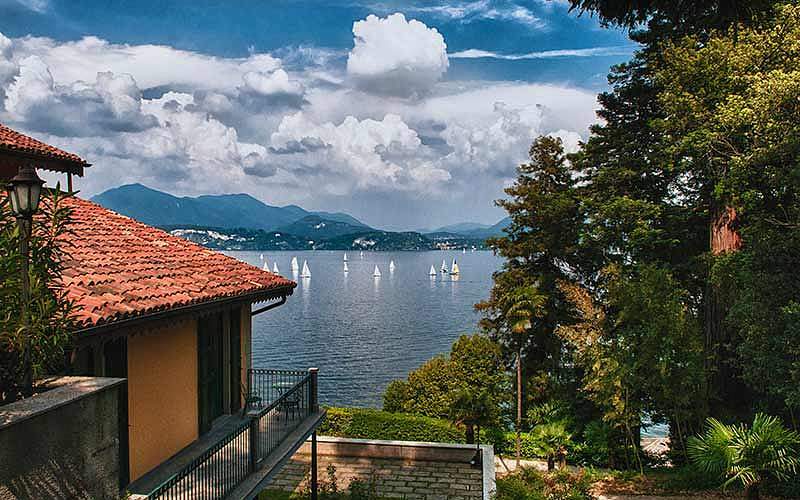 If you like, you can reach Casali della Cisterna by boat: just sail across Lake Maggiore until you come across the hotel's private beach and pier! 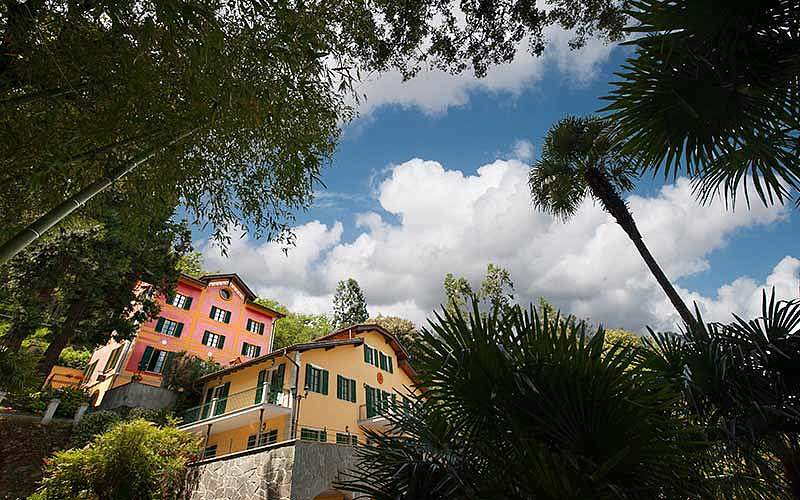 As tempting as it may be to spend your entire vacation without ever leaving the grounds of the hotel, it would be a shame to miss the opportunity to explore this paradisiacal corner of Piedmont. 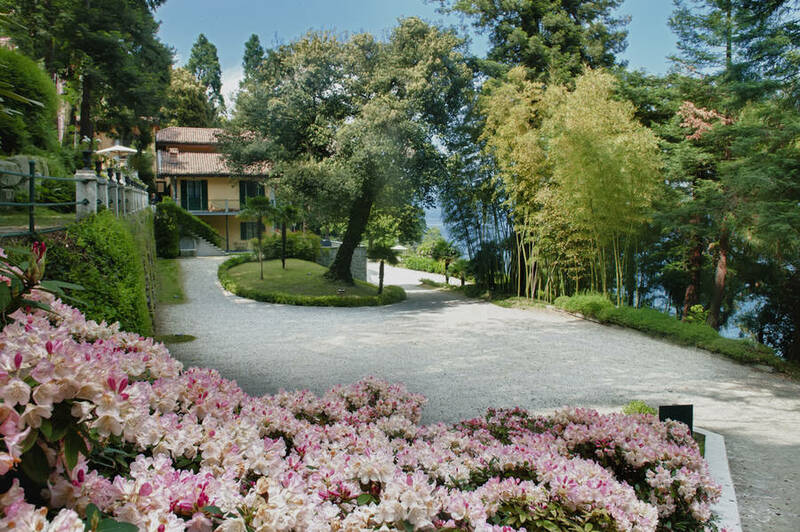 Places to visit include nearby Belgirate, Stresa, Arona and Verbania. 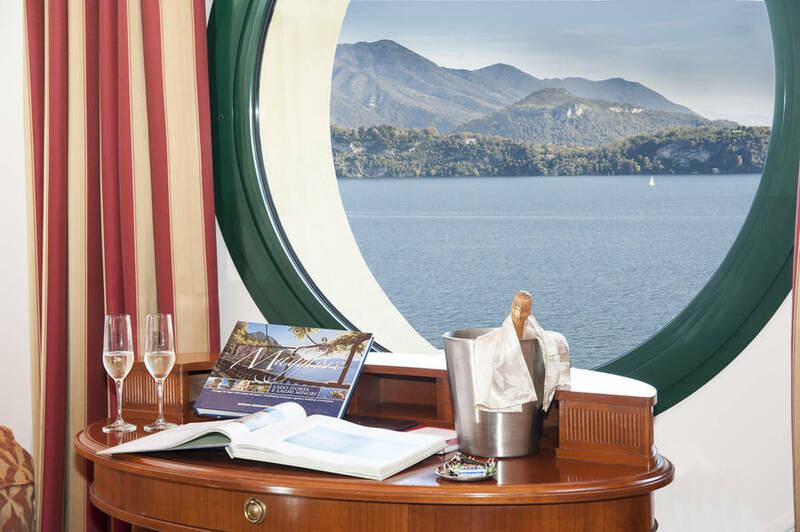 Sail around the lake to see the Islands of Borrommee, the pretty lakeside towns of Luino and Laveno and beyond, to reach Locarno on the Swiss shores of Lake Maggiore.